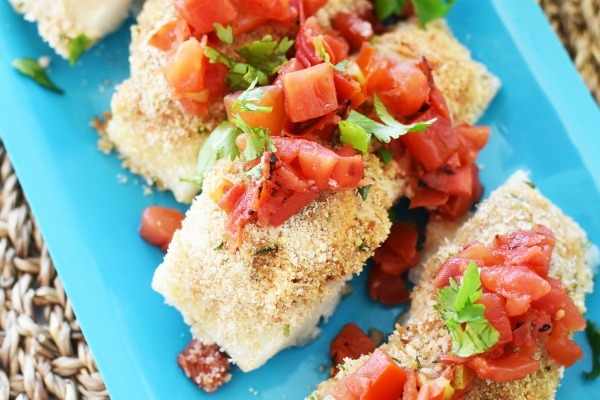 Rotel Baked Cod - A Creative Easy Dinner You'll Love! 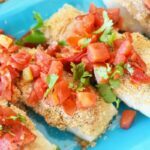 Home » ROTEL Baked Cod – A Creative Easy Dinner You’ll Love! 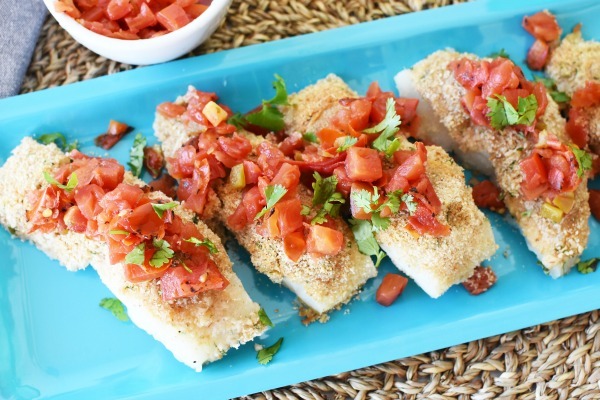 ROTEL Baked Cod – A Creative Easy Dinner You’ll Love! 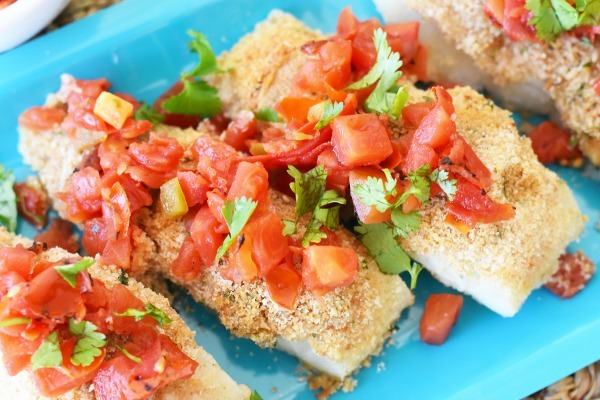 Baked cod fish is one of my family’s favorite dishes that I make. Despite the weather warming up rather quickly, this ROTEL Topped Baked Cod take about 20 minutes to bake, and produce some yummy results! Pair with some sweet potatoes and veggies, and you have one fiesta-worthy dinner idea! 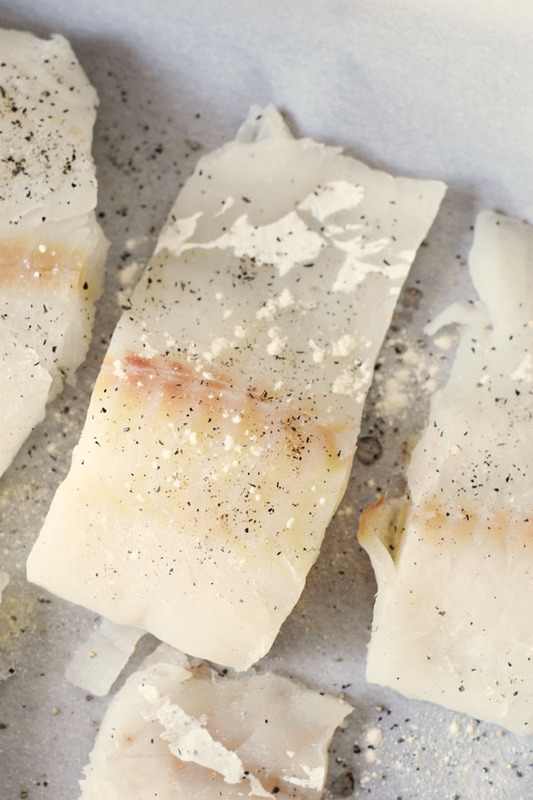 Cod is a very mild fish that can easily become flavorless without the right flavor-enhancing ingredients. Thankfully, the combination of spiced bread crumbs and RO*TEL Fire Roasted Diced Tomatoes & Green Chilies I used is perfect. It produced the perfect balance of BOLD flavor all without being overly spicy. In fact my 7 year old even requested an extra dollop on her fish. If you were to take a peek into my pantry, you would notice that I always love to have a can or two of RO*TEL on hand for cooking. 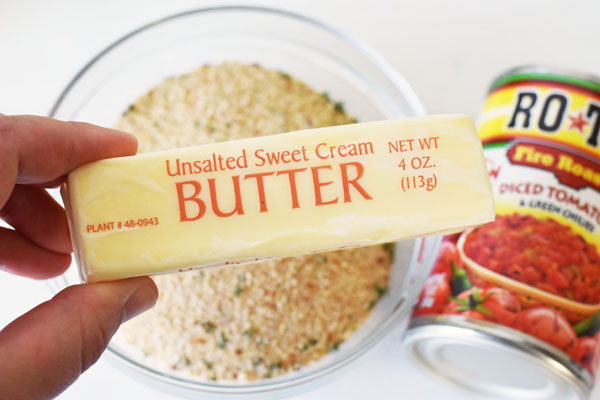 This product is mega versatile and can kick up the flavor on pretty much any dish. 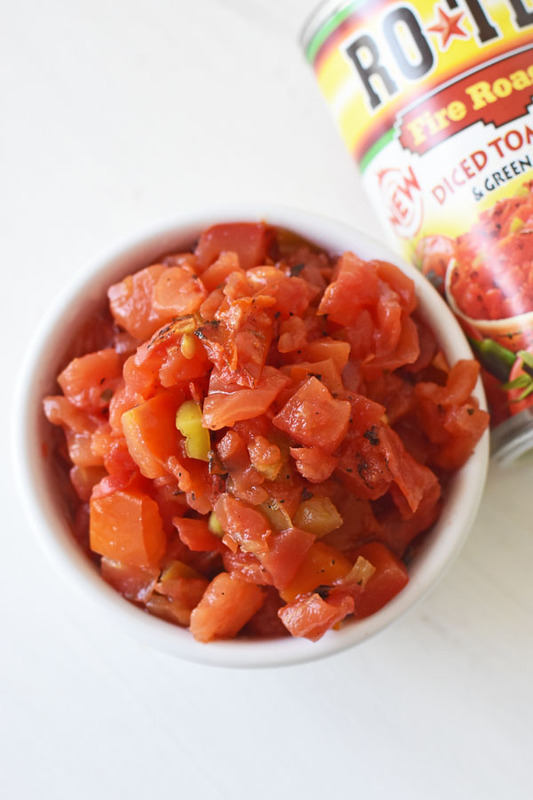 I love it with cheese, in dips, on top of proteins like fish, and even in omelets. During the summer time our family tend to eat more wild caught fish. For this particular recipe I was unable to get wild-caught code because my local store sold out due to Mother’s Day. 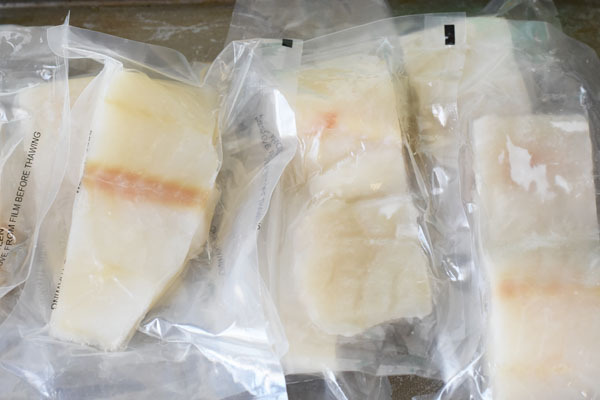 Wild-caught frozen cod worked just as well but you really need to pat the excess moisture out of each filet. 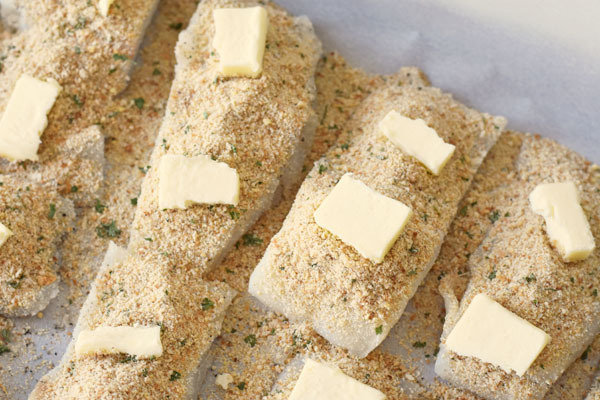 For the fish breading, I used Italian Bread crumbs to save time, and a pad of unsalted butter for each piece of fish. I went with unsalted to compensate for the salt in the pre-made bread crumbs. 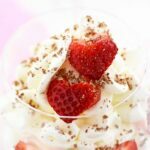 This recipe is so easy to make because it does not require many steps of tons of ingredients. 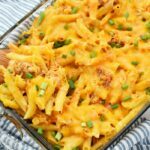 These are the kinds of meals that do well in my home because I love fresh and easy! You can find ROTEL at Walmart in the canned tomato isle. Check out my ROTEL Topped Baked Cod below! 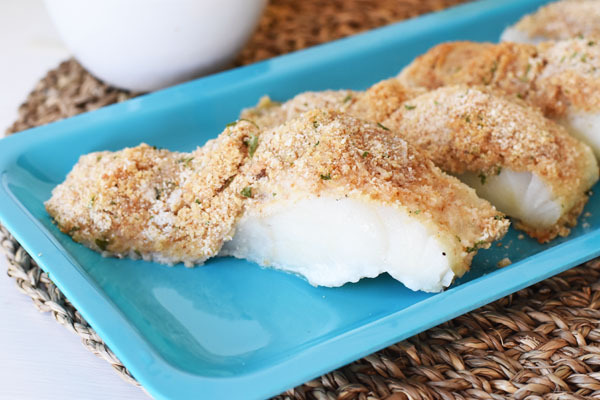 An easy a delicious way to prepare cod filet in a pinch. ROTEL adds just the right amount of flavor to every bite. Prepare a baking sheet with parchment paper. 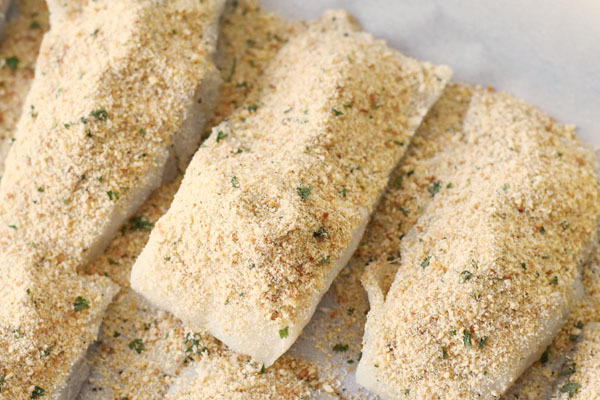 Arrange cod loins on the baking sheet, pat excess moisture out of each. Arrange butter pads over each slice (one on each end). Bake for 20 mins or until fish is flaky. Once done, top each filet with a dollop of RO*TEL. Return to the oven for 5 mins to warm the Rotel using the residual heat. Enjoy! With this RO*TEL Topped, italian breadcrumb encased, Baked Cod I can Fiesta every night indeed! 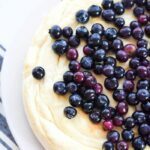 This sounds delicious – and it’s so quick and easy to prepare – pairing it with sweet potatoes and veggies is such a fantastic idea! 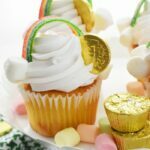 Thanks so much for sharing this recipe, Amy! can I us tilapia instead of Cod? 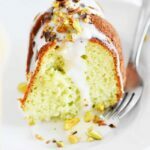 Great quick recipe. i ran a row of the drained rotel tomatoes alongside each pat of butter on top of the fish and baked this in a Pyrex rectangular dish and squeezed the juice of 1\2 a lemon on top for the last 5 minutes.